Circa 1776 (and all that) saber as carried by cavalry officers in the American Revolution. The saber style was inspired by the Hussars, eastern European light cavalry troops whose uniform and weapon styles were copied thoughout Europe - especially France, who, as allies of the Continental Army, inspired this saber. 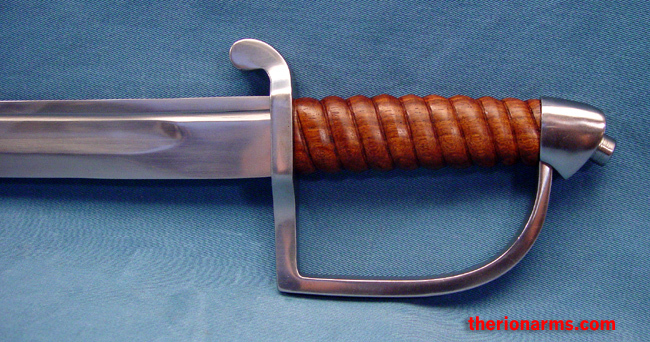 This attractive sword can be seen in the book "Swords and Blades of the American Revolution" by O.C. Newmann. 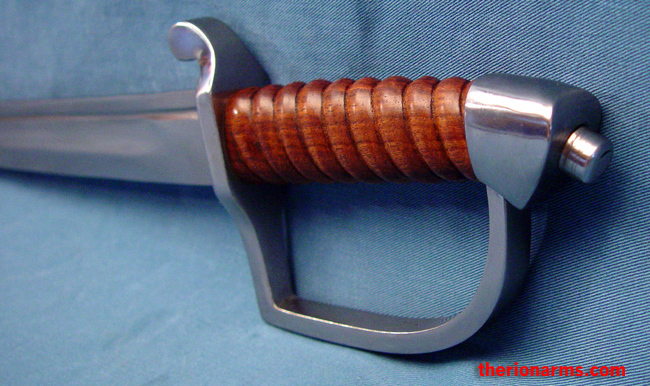 Solid steel hilt, spiral pattern carved hardwood grip, 1085 high carbon tempered blade. 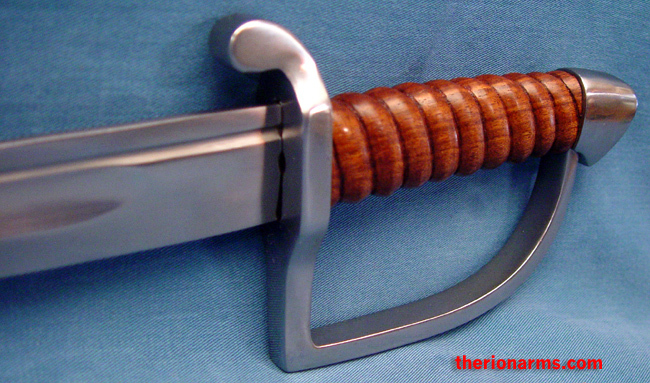 Comes with a black leather scabbard with steel fittings. This also makes for a great sidearm or training tool for folks studying or renacting Polish and Hungarian saber fencing.